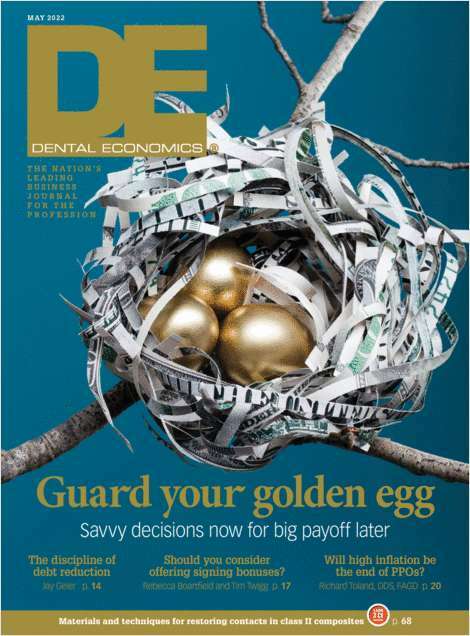 Free Magazine Subscription: "Dental Economics"
Dental Economics is the leading business journal for the dental profession. Do you wish to receive a FREE subscription to Dental Economics? What is your primary field of practice or specialty? About how many hours per week do you provide direct patient care? How many dentists work in your primary private practice? How many oral hygienists do you employ? Which format would you prefer to receive your copy of DE? Complete and verifiable information is required in order to receive this subscription. • Geographic Eligibility: USA (Print or Digital Edition), Selected International (Digital Edition Only). • The publisher determines qualification and reserves the right to limit the number of free subscriptions.